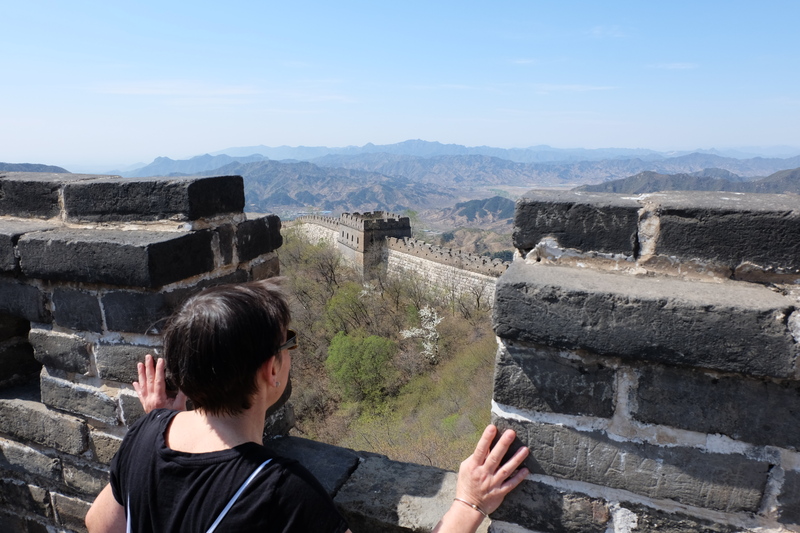 One of the best days ever on the Great Wall! 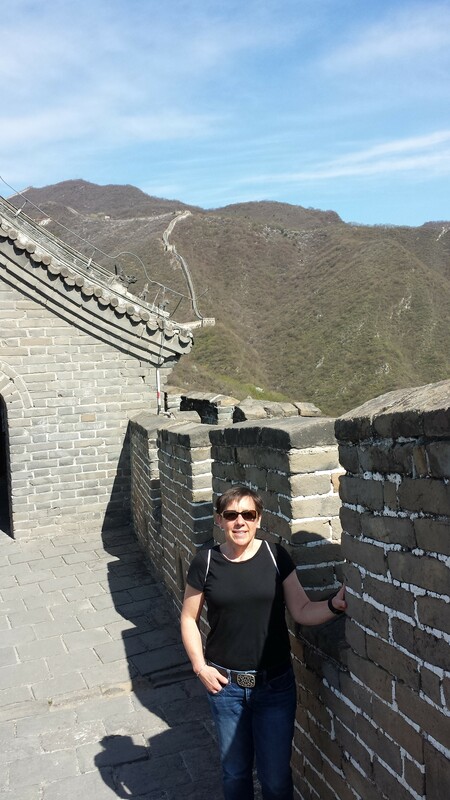 I walked the Great Wall of China! It was the best day ever! I never would have thought that I would have the opportunity to go there. 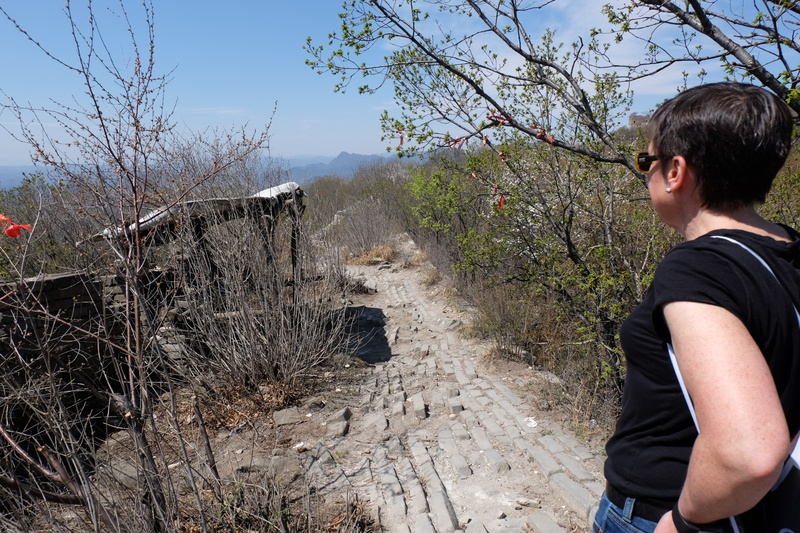 We splurged on hiring a car and driver from our hotel to take us to the Great Wall at Mutainyu. 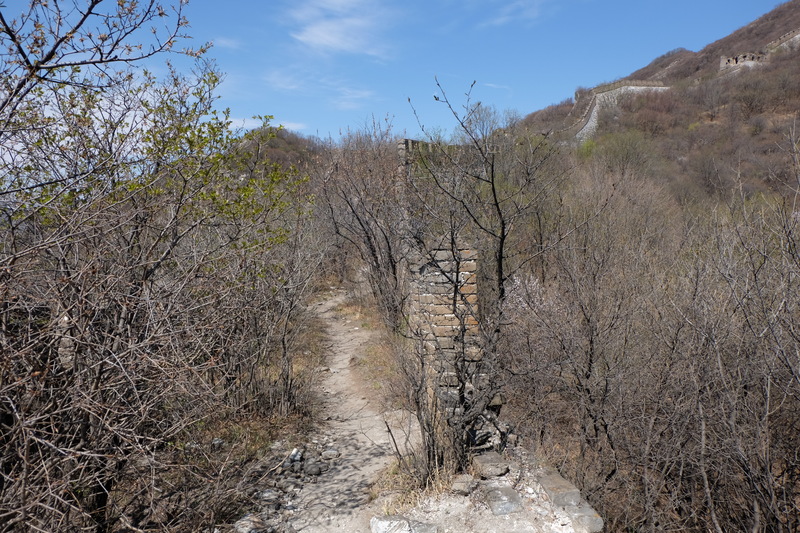 It has a large section of restored wall, but also a part that has not been restored. We arrived at about 9:30, an 1.5 hour drive from Beijing. We purchased our tickets and then took a shuttle to a gondola which brought us to the wall. It is enormous and seems to go on forever. 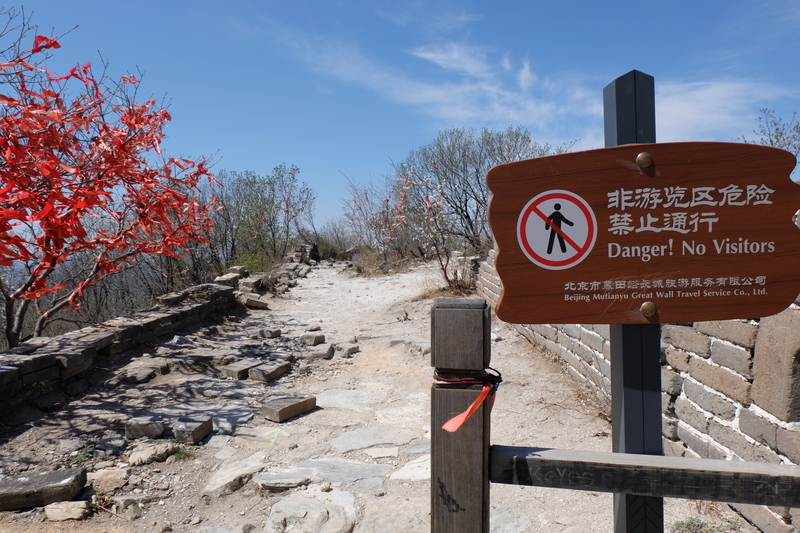 We walked for about a mile mostly up steep hills and stairs, and reached the point of “old wall” with this sign. We continued on for about .33 miles. It was overgrown and the wall was non exsistant in some places. This was my favorite day on the trip. It was amazing to see something so old and big, in a place I never thought I would have the opportunity to visit. 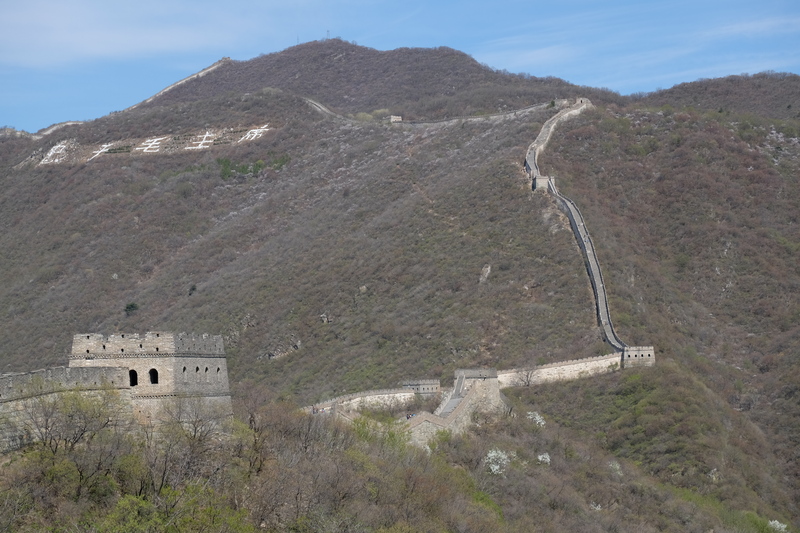 This entry was posted in Uncategorized and tagged Beijing, Great Wall of China. Bookmark the permalink. 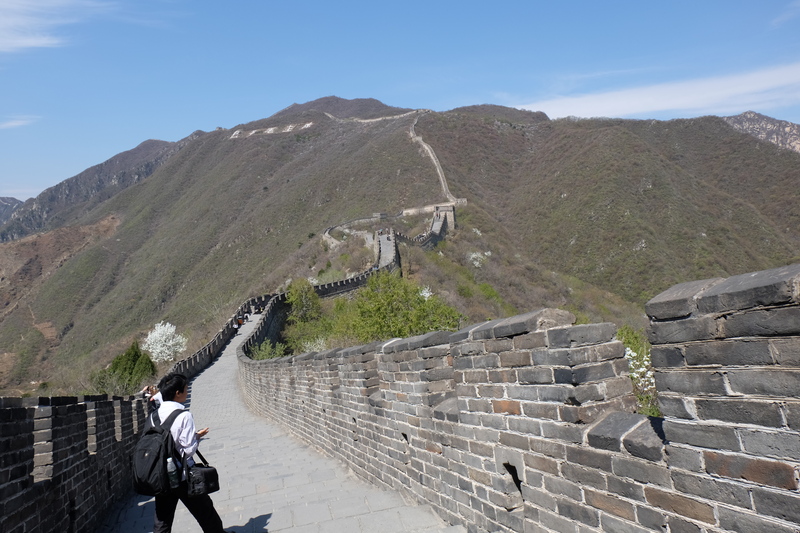 2 Responses to One of the best days ever on the Great Wall! Awesome! 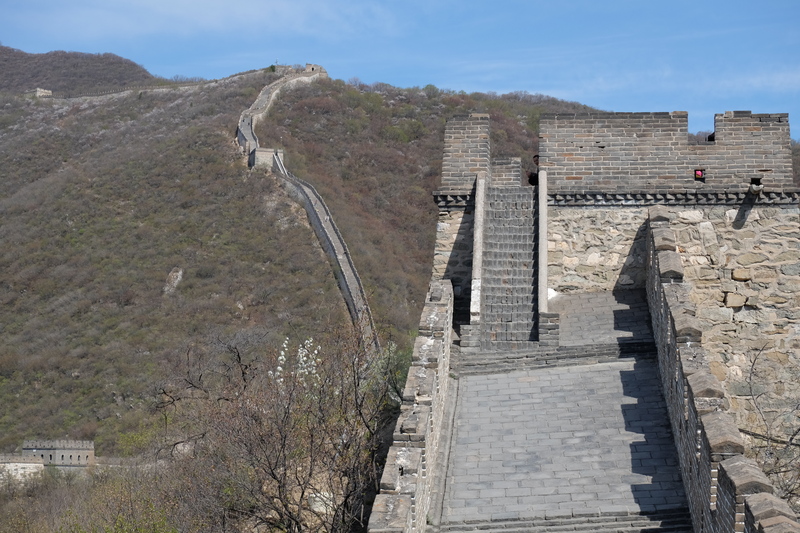 Now you need to go back for the Great Wall Marathon! Very cool! Your pictures look amazing!